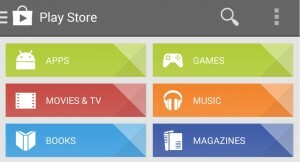 In the Google Play Store you can find all kinds of applications, games, books, movies, music and devices. Is the benchmark for Android applications and games, and we can trust in any game or app available there. If you are concerned about security, Google assures that we can trust the content of Google Play. Downloading games and applications is easy, either they are free or paid. The first thing to do is finding the Google Play app, which will be installed by default on our Android, as long as our device is compatible with Google services. We can check this list to see if it is supported for use with Google Play. Once we start the application, we find the different sections. We can search the app or game we are interested, in their respective category. If what interests us is free, we can download and install it with a single click. If the game or app we want to download is not free, then we need to define a payment method. Basically we need to introduce a credit or debit card. This information can be stored in Google Wallet, so we won’t need to re-enter it each time we want to purchase something, or we can remove all the information so it is not stored anywhere. 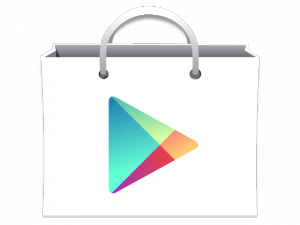 We can check the details on how to use a credit card with Google Play. There are different degrees of safety and comfort for our purchases through the Play Store. It is our responsibility to set the bank information so that it is convenient for our daily use but need to be sure it won’t be a problem. For example, if we have children with access to our Android devices, it is advisable to at least set a password for Google Play purchases, so no money can be spend by mistake.